CleanMyPC — новый продукт от компании MacPaw Inc., которая уже произвела фурор на рынке Macintosh благодаря своему продукту CleanMyMac. Keep your PC clean and running like new with CleanMyPC. It scans your whole computer to clean up junk files, speed up your PC, and boost its performance. 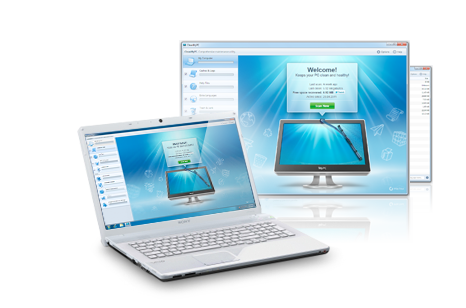 CleanMyPC is more than a PC cleaner — it’s an essential tool that cares for your computer. A good PC cleanup makes all the difference. Uninstall the right way to keep your PC clean. Most Windows apps come with their own uninstallers — except they don’t always remove the entire program and leave behind useless cache files or toolbars. With CleanMyPC Multi Uninstaller, you get rid of several apps at a time along with all their leftovers that are typically overlooked. Just make your choice and be sure Multi Uninstaller will leave no traces of unneeded apps. GHz or higher, 512 MB of RAM, DirectX 9.0, 15 MB of available hard disk space. Пропатченный екзешник не запускается. Пришлось взять репак Дъякова.